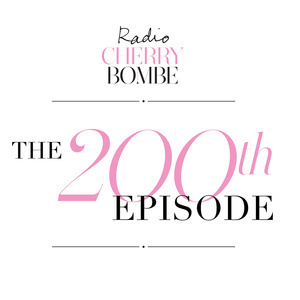 A special episode featuring a conversation between Nigella Lawson and Salt Fat Acid Heat’s Samin Nosrat taped in 2018 at the 5th annual Cherry Bombe Jubilee NYC. 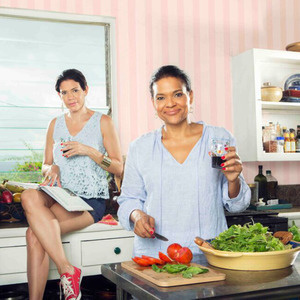 These culinary game-changers discuss everything from what it means to be a home cook, the differences between American and British desserts, and which women in the culinary world inspire them. 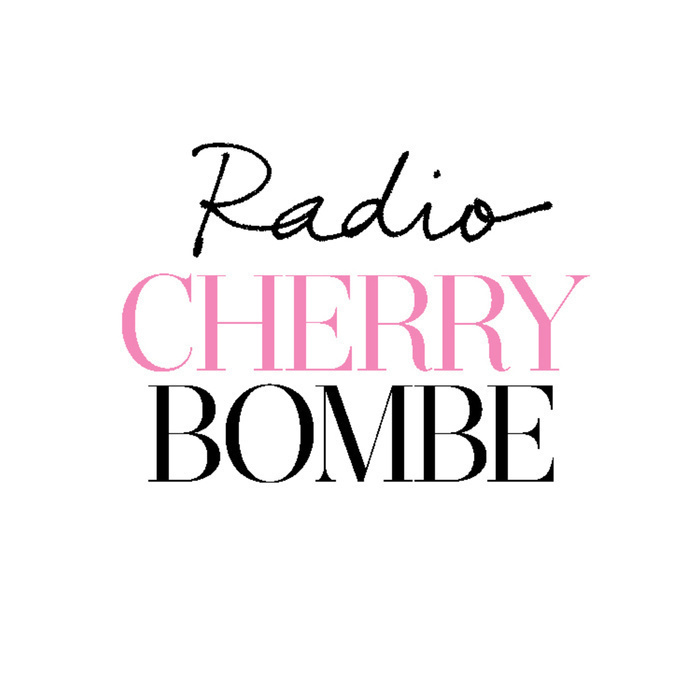 Plus, Radio Cherry Bombe Associate Producer Jess Zeidman guest hosts and we get to find out who Kerry Diamond thinks is the bombe! Thank you to Handsome Brook Farm Pasture Raised Organic Eggs for supporting Radio Cherry Bombe! 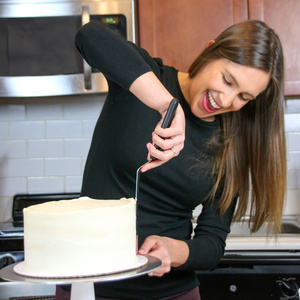 Chelsey White is an accidental baking star. 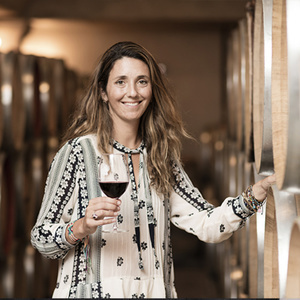 She worked in accounting and various corporate gigs, and started baking as a creative outlet. 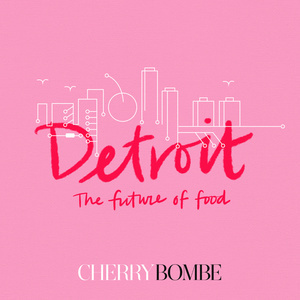 Radio Cherry Bombe stopped in Detroit last year as part of its Future of Food Tour for a live episode at Good Cakes and Bakes. Amanda Saab, owner and baker at the Butter Bear Shop in Livonia, Michigan, and the co-founder of My Muslim Neighbor, speaks to us about her vision for the future. Amanda’s talk is followed by a panel featuring baker Lisa Ludwinski of Sister Pie; Molly Mitchell, owner of Rose’s Fine Food; Dorothy Hernandez, the writer, editor, and founder of Sarap; April Anderson of Good Cakes and Bakes; Kimberly Chou of the Food Book Fair and Allied Media Projects; and Radio Cherry Bombe host Kerry Diamond. Thank you to Kerrygold for supporting our tour! For this episode, we're spotlighting two very different cities: Denver and Birmingham. 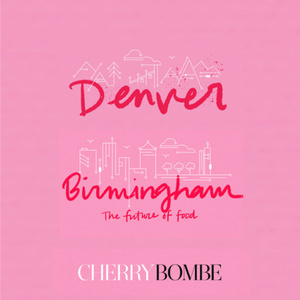 The Cherry Bombe team stopped in Denver for an event at The Source and then traveled down to The Essential Birmingham for a panel discussion. In Denver, Jen Griggs Sebastian of Rebel Girl Bakery and Sara Brito of Good Food Media speak about their vision for the future of food. In Birmingham, we recorded a panel featuring Kristen Farmer Hall, co-owner of The Essential; Courtney Pigford of Honeycreeper Chocolate; Celeste Pillow, owner of Odette in Florence, Alabama; digital content director Stacey Rivera, formerly of Food & Wine; Chef Ama Shambulia of Urban Ministry; and Radio Cherry Bombe host Kerry Diamond. 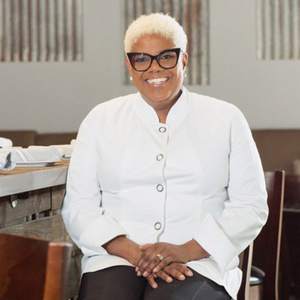 When Deborah VanTrece and her fellow flight attendants were on strike, she decided to go to culinary school. 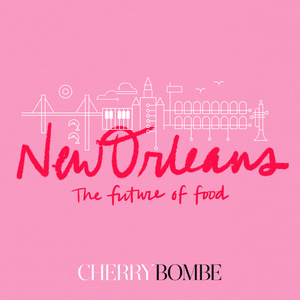 "Radio Cherry Bombe stopped in New Orleans last year as part of its Future of Food Tour for a live episode at The Ace Hotel. 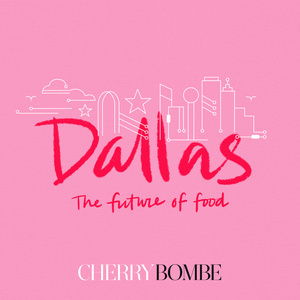 Baker Joy Wilson aka Joy The Baker, food writer and Cherry Bombe contributor Lauren Garcia, and Tales from the Cocktail Executive Director Caroline Rosen speak about their vision for the future of food. They are followed by a panel featuring Chef Nina Compton of Compere Lapin and Bywater American Bistro; Chef Kristen Essig of Coquette; Caroline Rosen of Tales of the Cocktail; baker Christina Balzebre of Levee Baking Company; and Radio Cherry Bombe host Kerry Diamond. Thank you to Kerrygold for supporting our tour! " Need a little sunshine? Don’t we all. Thank goodness Michelle and Suzanne Rousseau are here.